lowRISC is a daring attempt at creating a completely open-source, Linux capable, and multi-core system on a chip (SoC) to promote open hardware systems. The project was co-founded by Rob Mullins, Alex Bradbury (both of whom were actively involved with Raspberry Pi project) and Gavin Ferris of Dreamworks. 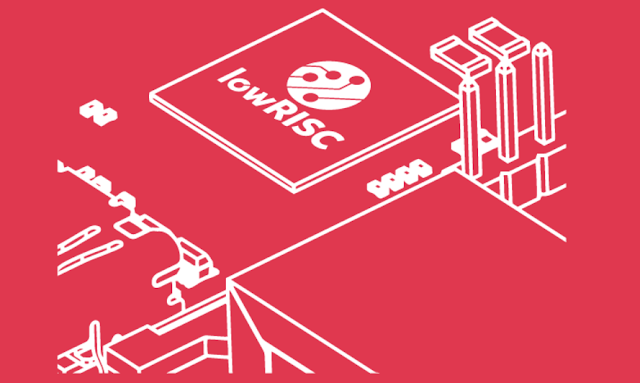 lowRISC: Open hardware for the masses! According to lowRISC co-founder Alex Bradbury, the project is a "not-for-profit effort to produce a completely open source, Linux capable, multi-core SoC." He believes that the "benefits of open source we enjoy in the software world can be applied to the hardware world which will have a huge positive effect on the hardware industry, academia, and wider society," much like the Raspberry Pi project he was earlier involved in. lowRISC's open-source SoC designs will be based on the 64-bit RISC-V open-source instruction set architecture (ISA) which allows anyone to freely use, design, manufacture and sell RISC-V chips and software. Alex Bradbury of lowRISC is of the opinion that "lowRISC SoC can act something like the 'Linux of the hardware world' - that others can take it as a base for their own SoC designs (startups, academics, larger companies)". But he is pessimistic about hitting the ultra low-cost price-points of Raspberry Pi, given the expected lower volumes. He goes on to add that "..open source silicon design has much more to offer than just lowering unit costs and increasing profit margins for the existing dominant players. This is why we are established as an independent not-for-profit - we want open source hardware to benefit everyone, and its design to be a truly collaborative process. We have a long way to go, but that's the direction we want to help move things in." lowRISC is a not-for-profit organisation working closely with the University of Cambridge and the open-source community. You can follow the project here. For more free and opensource (FOSS) related news and articles, go through our open-source feed.